Spence vs Peterson: Trouble for The Truth? January 20, 2018. 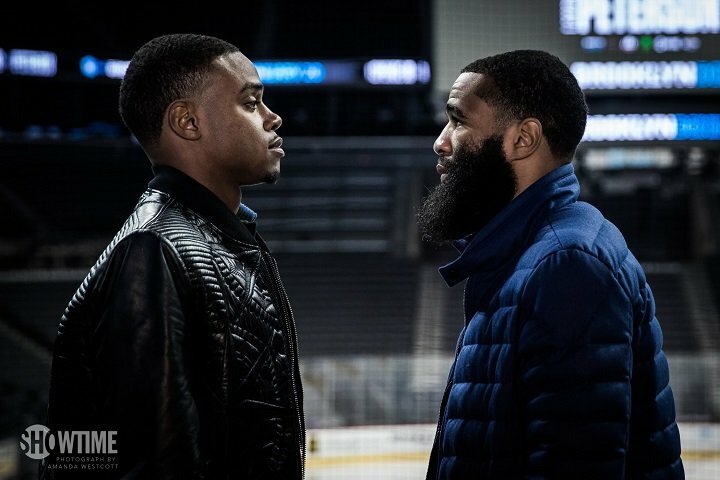 Less than two weeks from today IBF Welterweight Champion Errol Spence Jr. will defend his title against two division champion Lamont Peterson. One has to applaud Spence for taking on such a difficult challenge in his first title defense. Peterson is not only a recognizable name to boxing fans. He is also a handful for any boxer not named Lucas Matthysse. However, I wonder if this was an error in judgement by Team Spence. Undoubetdly and deservedly Spence will walk into this fight as the favorite. Spence is younger, fresher, stronger and undefeated. Spence has a ton of momentum, and is coming off a dominate stoppage of Kell Brook. While the fight was by no means one sided; Spence managed to survive a fast start from Brook, walk through his shots and break him down. Especially to the body. Spence looks the part of a future All Time Great. Talented, confident, poised and a finishing instinct as well. Spence has all the drive and the tools to become the face of the 147 pound division. However to count out Peterson in this match would be serious mistake. Lamont Peteron is one of the most underappreciated fighters in the boxing world today. The lack of respect he gets is borderline criminal. Not only is Peterson one of the few true class acts in our sport but he has an amazing story as well. With his father incarcerated and his mother dealing with personal issues Lamont and his brother Anthony spent most of their formative years homeless on the streets of D.C. Yet he overcame that and refused to become a product of his surroundings. Peterson always comes to fight and gives every fighter a hard night. The controversy surrounding his name sometimes makes it hard for people to get behind him. He lost very close decisions to Danny Garcia and Victor Ortiz that he probably should have won. He was also given the nod in an excellent fight with Amir Khan that he may have lost. Peterson is a good boxer who is both fearless and determined. While I expect Spence to win an upset would not surprise me too much. Stranger things have happened on our beloved sport. Peterson will no doubt come in to this fight looking to delay the rise of Spence. While Errol Spence will be looking to have another breakout perfromance to justify the lofty expectations he has. Is Errol “The Truth” Spence in a bit of trouble we find out on January 20. You are here: Home / Boxing News / Spence vs Peterson: Trouble for The Truth?